Post your best photo in the gallery. Photos will be selected for the 2008 318ti.org calendar. Photos must denote the 318ti. 2400 x 1800 pixels or higher. The highest rated 12 go into the 2008 calendar. The calendar will be assembled in November. Voting begins October 1, 2008 and no further photos will be allowed. cut-off time for submitting pics is the end of september? i ended up 15th or somethin last year with a stock TI photo, gonna have to get my arse in gear and get my car together and try to make 12! Yep. This way we can vote during October and spend November filling in the details of each photo. Are you opposed to photoshopped pics like this?? Last edited by Bozola; 01-31-2011 at 01:28 PM. awww.... dude that pics looks cool. but i think thats like cheating. isnt it? cuz i thought the calendar was aiming at true, natural pictures of the Ti's. Am i wrong? I have no problem with photoshop. I know this might sound off the wall, but just remember that I am still relatively new to this forum. I have an almost bone stock 318ti. I am a photographer by trade and have pretty good photoshop skills. You want just unadulterated photos of the cars and photoshoped backgraounds, or can we "touch" up the cars too? 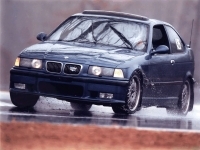 I am just saying this because I can turn my bone stock 318ti with hubcaps into a DTM styled racer. Just want clarification, sorry if i am thinking too deep into this. wouldn't the calendar be a tad odd if in june you have a crazy photoshop like above, then switch to july and have a regular pictured TI? i think it would kind of throw off the theme a little, JMO. We all have to vote on the winners anyways. If you don't like the photos just don't vote on them. Makes sense, right? I personally like the true natural pictures for the calendar. Now for photoshop then that should be in its own league/calendar. That is kind of what I was aluding to. I think that photshop should only be used to do normal touch ups like removing door dings, rock chips, etc. So if it is 1 entry per person is it proper for 1 person to have their friends enter pictures for them? Maybe it should be 1 entry per car. We'll make it 1 car next year.